After finishing a close second on the opening day of Highland Park CX, Serena Gordon (Liv l Giant Co Factory) took advantage of the sand to get a little gap that held and won Day Two of the Elite Women’s C2 race in Jamesburg, N.J. Canadian Natasha Elliott (Garneau-Easton Cycling) improved to second place on Sunday, clipping Laura Van Gilder (Mellow Mushroom Pizza Bakers) and Arley Kemmerer (Fearless Femme Racing) in a sprint for the final spots on the podium. Elliott, Van Gilder and Kemmerer all finished 11 seconds behind Gordon. 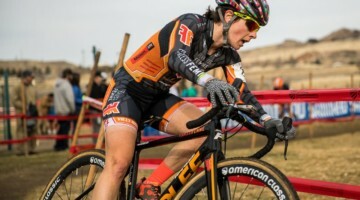 Kemmerer, Saturday’s winner, finished in the back of the three-woman sprint behind Van Gilder’s wheel. 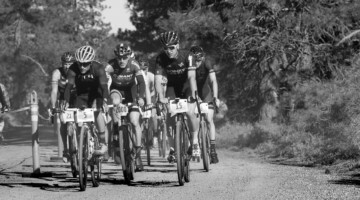 Van Gilder claimed third and Kemmerer fourth. 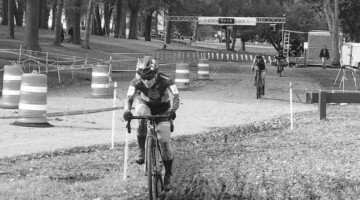 In fifth, 54 seconds back, was Kathleen Lysakowski (Joe’s Garage CX p/b Bikereg). 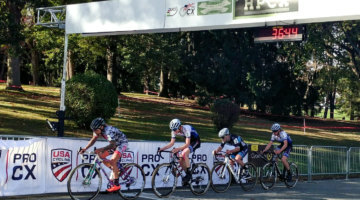 The field of 37 riders broke apart on the first lap, with seven riders taking charge. Halfway through the race the three podium finishers started to distance themselves from the lead pack. Kemmerer and Gordon them made an extra push on the final lap. 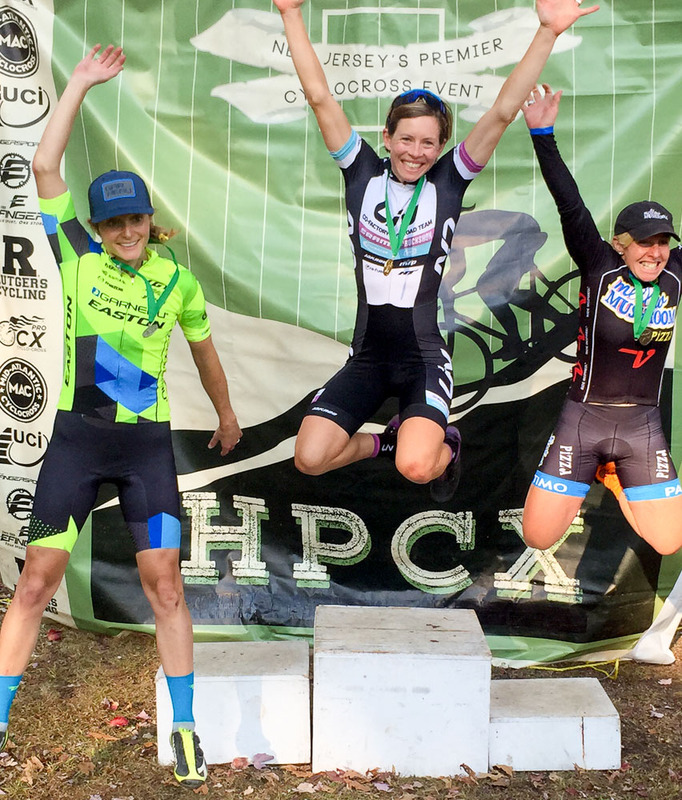 2016 HPCX Day 2. Gordon celebrates her win with Elliott and Van Gilder. Jeremy Durrin (Neon Velo Cycling) took the holeshot in the Elite Men’s C2 race but could not hold off Carl Decker. 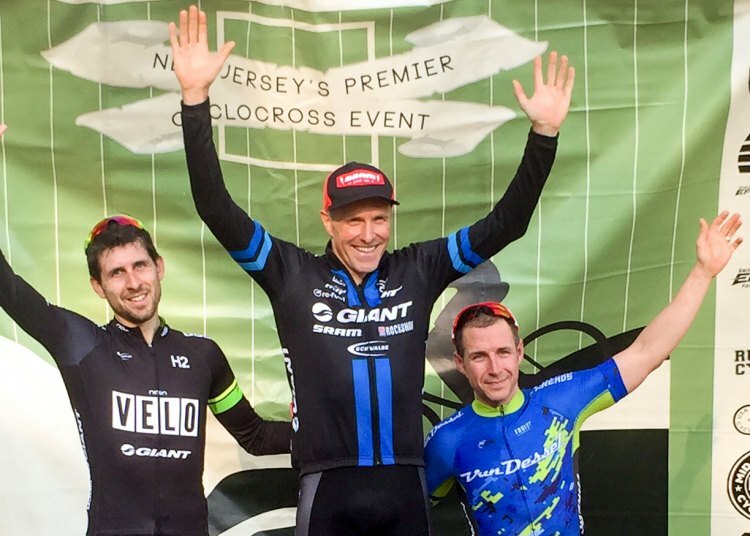 The Giant Factory Off-road rider took his first Pro CX win of the 2016-17 season, crossing the line 22 seconds ahead of Durrin, and keeping the Day Two victory within the team after Adam Craig’s win on Day One. 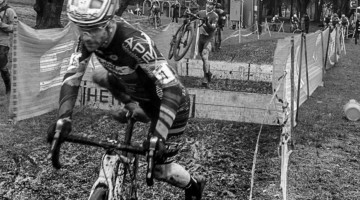 Derrick St John (Van Dessel p/b Hyperthreads) finished third. Cole Oberman (Protestedgear.com), who was third on Saturday, was fourth on Sunday. 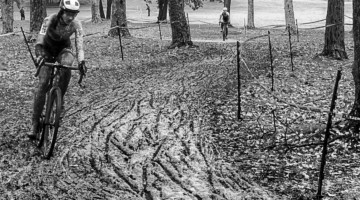 Next week Pro CX events will be hosted in Louisville, Ky. at the Derby City Cup, with C1 races on Saturday and C2 races on Sunday.